Laura Stubberud has over two decades of experience in the practice of estate and family law in Nevada. After graduation from UCLA, she studied law at Southwestern University School of Law , graduating in 1992. She was admitted to the Bars of the States of Nevada and California. With over 20 years of practice in Clark County, Nevada, Ms. Stubberud has substantial experience in estate planning, probate and trust administration as well as real property and business transactions. 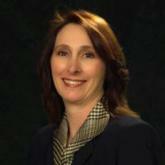 In 1997, her expertise was acknowledged when she was featured in Distinguished Women of Southern Nevada. Laura Stubberud is a member of both the Nevada and California State Bar Associations and an active member of the Clark County Bar Association.